Amboseli National Park, Kenya, April 2011. Broad-nosed Weevils, like all beetles, lead a double life. In the first stage they are grubs, caterpillar-like larvae that are designed as feeding machines. 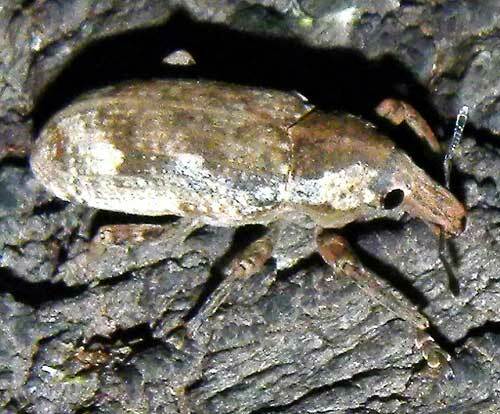 Most broad-nosed weevils spend this period as immature larvae underground feeding on plant roots. Finally the grub undergoes metamorphosis within the pupa and emerges as the familiar beetle. Weevils are beetles that have distinctive, elongated snouts. Mouthparts at the end of the snout allow for specialized feeding and the ability to excavate a cavity into which the eggs are laid and protected.